What problems will URUNIT solve? Gambling is one of the most ancient ways of entertainment, it existed even in ancient Greece. Nowadays it still remains one of the most popular amusements. There are thousands of casinos and gambling houses all over the world. Although the revenues of most casinos are unbelievably high, they still struggle a lot to preserve customers. Most of casinos are quite alike: they are designed in such way that the visitors leave without a single coin in their pockets. Customers are given absolutely no power, they are just muppets in the hands of those who run casinos. That is why few of them are likely to stay in one casino for a long period of time. 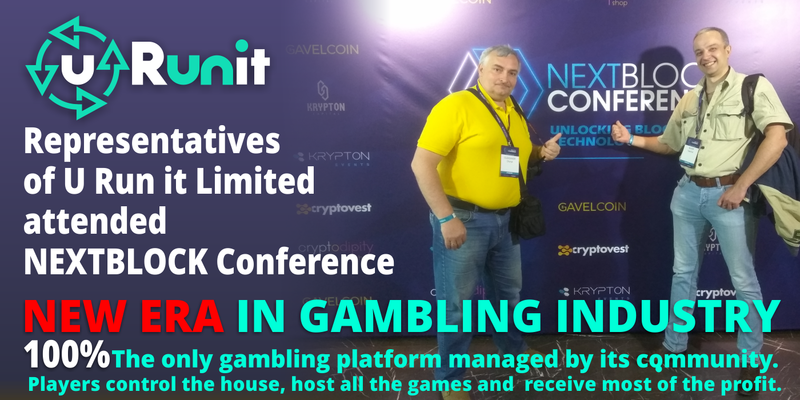 The main principle of this innovative project is to give more freedom to the gamblers themselves. The players are the manager of their own entertainment. The platform will provide each and every user with an opportunity to rent any game from poker to a lottery, choose the amount of players, enable suitable settings, and get some money back in the end. This brand new concept creates much more favourable conditions for using the services of a casino, since the player is the one who controls the process. The customers can also increase their rank by making bets and winning games, this rank can be sold to other users at any time. total security of all intra-platform processes due to smart contract and the blockchain technology. The platform token is called URUN token. 1 URUN equals 0.00125 ETH. The total number of tokens will be 80 million, 60 million of which will be available for sale. The project has a soft cap of 4 million and an ambitious hard cap of 60 million tokens. The accepted currencies will be ETH, BTC, LTC, XRP, DASH. The minimum investment amount is 0.05 ETH. The funds raised will be allocated in the following way: 45% will go for marketing, 30% will go for the project development, 15% is the stabilization fund, 5% will go both for legal services and consulting.